Since my class has been piloting the 1:1 iPad program at my school for the past 4 months, I have come across a lot of cool (and not so cool) apps. One of the best "tools" apps I have found is Reflector. Many of us have heard of Apple TV.....and even own one. (I do at home). They are great little gizmos. And the thought of being able to wireless connect your iPad to your Apple TV at school is a wonderful thing. Easily allowing you to stream movies, show your iPad screen, and more to your class. What's not so cool? The price! At $99, the Apple TV is an expensive technology gadget. And when you are working on a teacher's budget (gasp - or worse a district's!!!) that is a lot of money to pay. Especially when you need to factor in the cords and other accessories you need to make it work. This is where Reflector enters. For the low cost of $14.99 (single user license) or $49.99 (5 person multi-license) you can download this fabulous app and have it do the same EXACT thing that Apple TV would do. 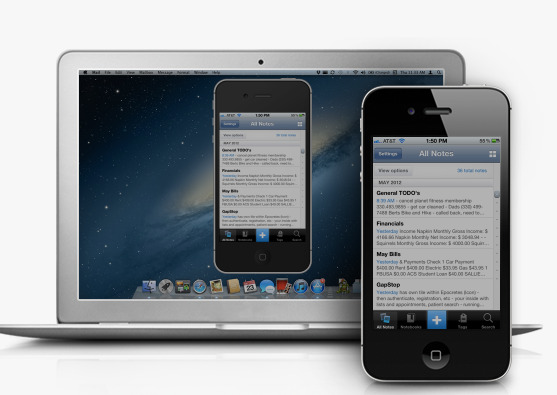 It allows you to wirelessly mirror your iPhone or iPad to your Mac or PC. Unlike other apps, you download it to your actual laptop or desktop instead of your device. Then by simply hitting the home button on your iPad (or iPhone) and swishing to the left, you activate AirPlay. Instantly, mirroring your device! 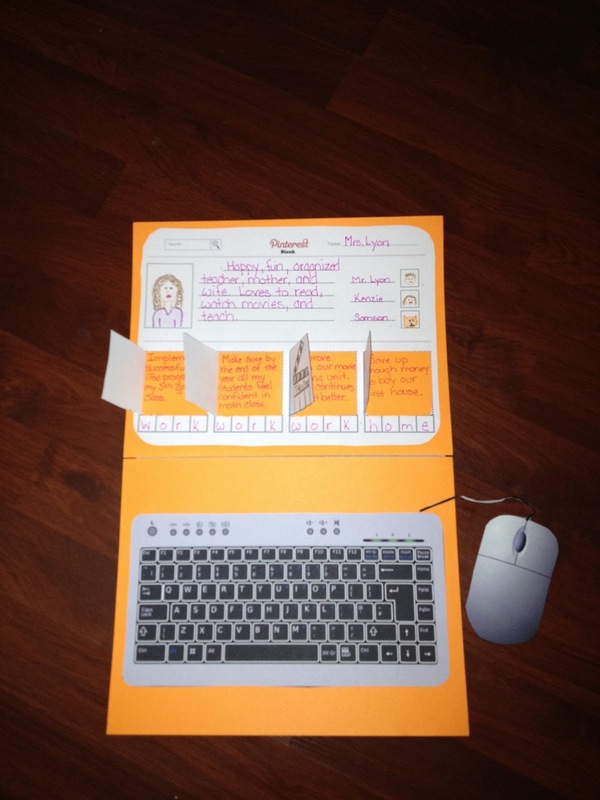 Display it through your LCD projector and your entire class can see what you are doing. I use this app DAILY in my classroom. It allows me to walk students through what they should be doing, or quickly show them something cool. Better yet, I can have my students become the teachers and mirror their iPad by simply activating AirPlay on their device. Simply put - COST! At $14.99 you are saving almost $85 compared to the Apple TV. Ease of installation and use. You can purchase, install and implement all without ever leaving your desk and within 10 minutes. Try to make it in and out of an Apple Store in that time! Features - did I mention you can record what your doing to save for later? Imagine the possibilities! Allow students to access a lesson even after it's done. You can download it on either a Mac or PC. Sometimes the connection is dropped. But for the amount of times I use this product and the number of times this has actually happened it really doesn't matter. Plus, from what I hear, the Apple TV has the same issue. You can only connect either an iPhone or iPad - no other devices. For me, not that big of a deal since my school is an Apple product school. But for others who are not, this app would not work for you. So, overall I truly give this product a 5 out of 5 stars. Check it out today - for $15 what do you have to lose? Any other fabulous apps that you have found that work the same way? Share below! 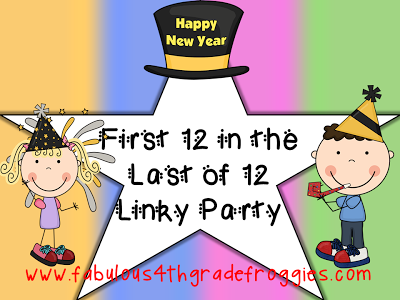 Linky Party: First 12 of '12! To jump start myself back into blogging again, I'm joining up with a fun Linky Party that Lorraine at Fabulous 4th Grade Froggies is hosting. The idea behind it is that you post your first 12 posts of 2012. It was actually fun looking back, as I sometimes forget things I've posted. :-) Somehow throughout the year, I forgot about my themed days of Market Mondays and Website Wednesday.....I may just have to bring those back! 1/12/12 - Wiki With Us This post I talk about about my themed days and also introduce my wiki where I have a lot of my free products and ideas available to you. 1/16/12 - Market Mondays: Art Drying Rack This art drying rack is still by far the best one I've seen yet. A lot of my colleagues opted for the same one I had but a few got different ones. I still love mine the best. 1/18/12 - Website Wednesdays: Edmodo Edmodo is one of my all time favorite collaborative websites that I still use with my students. Especially since we now have 1:1 iPads in my classroom. If you haven't checked it out, you simply must. 1/25/12 - Website Wednesdays: Artsonia This next post is all about Artsonia. A fabulous website that you can use to search for fun art projects, post students' artwork into online portfolios AND earn money for your school. 1/26/12 - Building Elements This was a fun little project I did with my students on the number of protons, electrons and neutrons an element has. Oddly enough, I just posted about this same unit yesterday regarding a new project I did this year. 2/1/12 - Website Wednesdays: Classroom Freebies Too Here I talk about a great website where you can find a ton of things for free to use in your classroom. I'm no longer a contributor since I simply ended up not having the time due to the growing demands of my job and daughter at home but still love checking out this site to see what is posted. 2/6/12 - Market Mondays: Gumball Machine - Without the Gum! In this post, I talk about one of my classroom management tools that I use which is a huge hit with my class. They love taking a turn at our "Puffball Machine" to see how much Kenzie Kash they can earn. 2/7/12 - Grid Art Masterpiece Here you can read all about an annual art project that I do with every class. 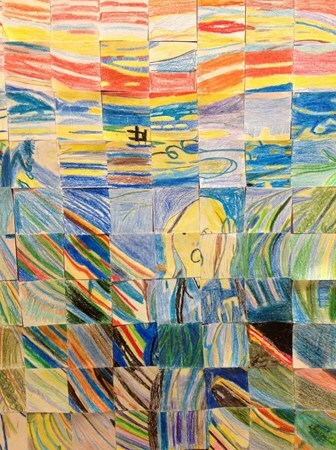 This year we did the art work "Scream". So much fun and I love seeing how it turns out. 2/9/12 - Website Wednesdays (errrr.....I mean Thursday) Mangahigh Looking for a great site to practice Math skills with your kids. Check this post out. 2/11/12 - Fonts, Fonts, and Even More Fonts - Part 1 If there is one thing I absolutely love more than colored markers, it's fonts! Come check out some of my all time favorite free fonts. Whoo - alright! There are my first 12 of '12! Check them out if you haven't already. And be sure to go back and look at some of my other ones. There are some hidden gems in there. 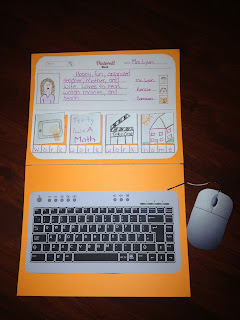 :-) For even more great blog posts, head on over to Fabulous 4th Grade Froggies and check out what other bloggers have posted. 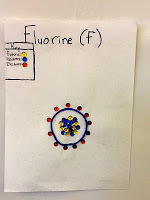 In science class my students just finished learning the basics on atoms and the periodic table. They are well apt at figuring out how many neutrons, protons, and electrons each element possesses. Towards the end of our unit, one of my students brought in a book that he thought I might be interested in seeing called The Elements: A Visual Exploration of Every Known Atom in the Universe. And what a fabulous book it was! The book itself gives information on each element in the periodic table and provides one of the most colorful experiences I've ever witnessed on the this topic. I'll admit it was so intriging to look at all the pictures and to discover new things about the elements which I never knew. So.....it got me thinking. If I was this interested in the topic by looking at the book, would my students be too? 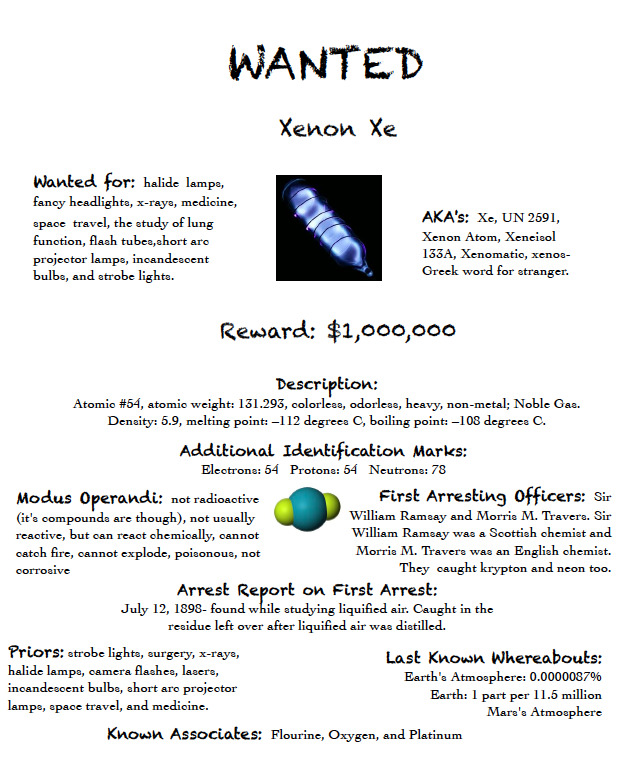 After doing a bit of research online, I came across a great cumulative project for our unit in which each student would pick an element that interest them and create a "Wanted Poster" for that element. More importantly, I wanted them to be able to use our iPad to create their project as well. After tweaking it a bit for my needs, I assigned the project. Click here to see the assignment details. After each student chose an element they wanted to learn more about, I copied from the book, The Elements: A Visual Exploration of Every Known Atom in the Universe, for them to utilize in their research. In addition, students used the app called PeriodicTable. While it only has a 3 out of 5 star rating, the app for the most part provided more than enough information for my 5th graders for what they needed. After students finished doing the research on their project and had filled out their rough draft, they worked in the Pages app to complete their final poster. 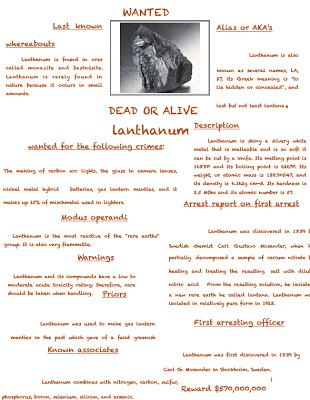 I printed all their posters and students presented their work to the class. It was a lot of fun and very informative to learn about all the elements they picked. 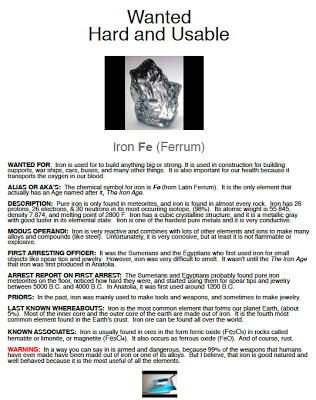 What projects have you done with your students that involved the Periodic Table and elements? Share below - I'd love to hear about them. I realized it has been quite some time since my last post. Five weeks ago, I was busy setting up my classroom, getting ready for my students and about to undertake a huge pilot program for the school......our 1:1 iPad program! While I'm so excited and thankful that my grade was chosen to pilot the program, it has also been a lot of work and research on my end to be sure that things are done properly. Yes, I have encountered glitches along the way and definitely had students do things on the iPad that I wonder what the heck I was thinking but overall it has been a wonderful experience. I look forward to sharing my experience with all of you and welcome any advice you may have. One of the first things we had to do, was create a student iPad pledge. Since the iPads are the property of the school but students would be allowed to take them home, it was important for us to set some guidelines for our students. If you Google "student iPad" agreements, you will get a ton of hits.....which is exactly what I did to begin with. Once I had a few samples to work with, I sat down and reflected on what would be best for our school and population of students. This is what we came up with. 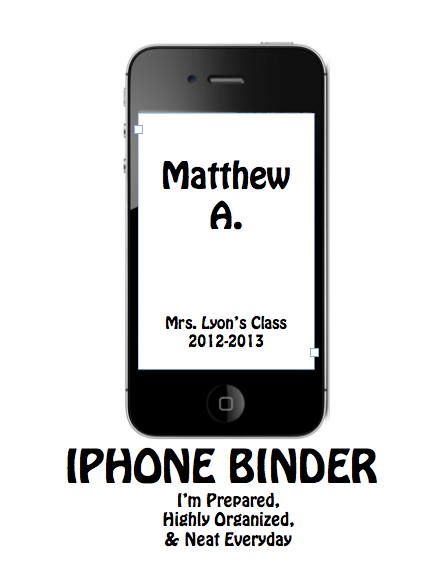 Do you have an agreement that you make students sign-off on for electronic devices? I finally finished setting up my classroom for the 2012-2013 school year. I spent at least four full days working on it and I must admit, I'm very happy with the final product. Let me take you on a photo tour of my room. This is part of my desk. This year I split it into two parts. All my technology is on these two desks. The computer hooks up to the LCD projector. I have my IPEVO camera which I use like it's an ELMO document camera. It's perfect! And best of all, it was only $70 with free shipping. It works so well and it can come off its stand so I can show students things close up in things such as science class. I will also be able to put my iPad on the desk as well and hook it up to the LCD projector (which isn't shown). Also shown is our calendar, our class rules and the arrow pointing to the piece of paper is our School-wide Student Learning Expectations which changes daily. I have a large file cabinet to the left and a closet that holds all of my resource books among other things. Here is the other half of my desk. 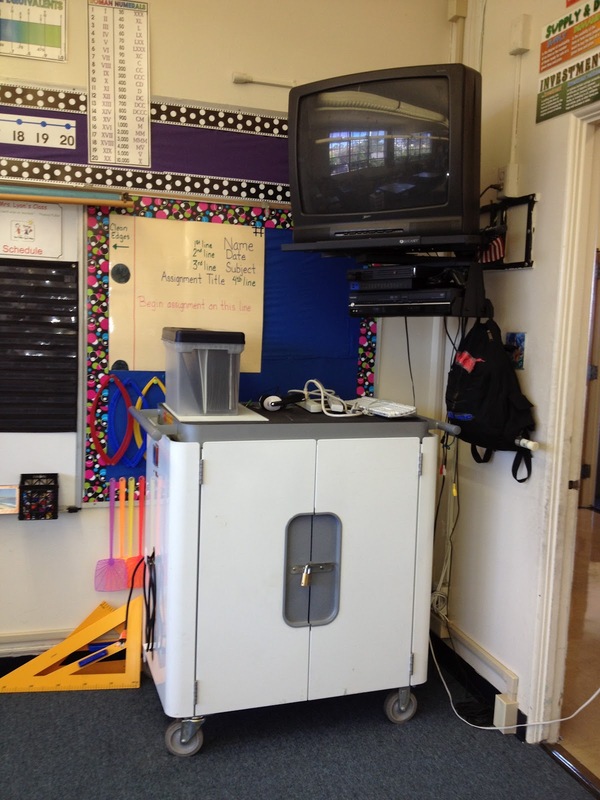 In front of it, is my Puffball Machine which is part of my classroom management program. You can read about it here. In the green crate I collect samples of student writing and the folders peeking out are "Absent Work" folders for those students who miss class. Here are the students' morning work folders, Early Finishers notebooks and reading workbooks. On the shelves are the games for the classroom. Those are typically used during rainy days. To the right which is cut off, are all my math manipulatives......I have a TON! Here are the community supplies. I got the baskets at the Dollar Tree about six years ago. I LOVE the bright bold colors they came in. I also repurposed an old Enfamil container to hold our colored pencils and an old Lysol container to hold eraser caps. There is another one that holds my clothespins but you can't see it. And of course, my favorite carry all caddy. I love those things. They hold crayons and markers if the students need them. 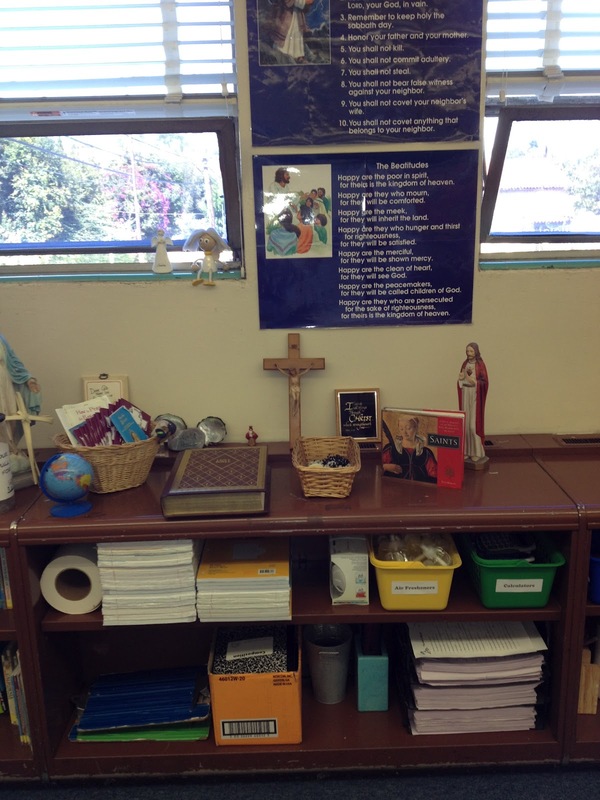 This is my prayer table - since we are a Catholic School, all classrooms are required to have one. I have rosaries, prayer cards, Saint books and more here available for the students. And above are our Beatitudes and The Ten Commandments posters. 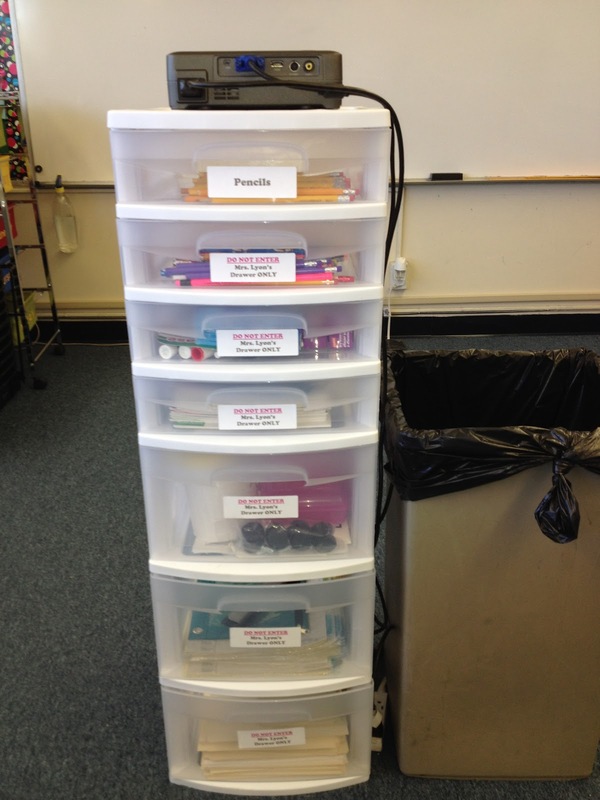 On the shelves are just more supplies for the students, Glade plug-ins and math sheets. Here is our classroom library. I have over 1,800 books available for the students to check out. My librarians use the computer in the back corner to manage and check-out books. I use a program I got called Book Collector. It was relatively cheap and has served me well for 6 years. In the library, I have my genre posters on the back wall and to the far right by the windows I have my Reading Strategy posters. You can download both for free in my TpT store. This is the back side of my library. I moved the couch out so we had some extra room in the library. This will also provide students a space to read without being crowded by those looking for books. 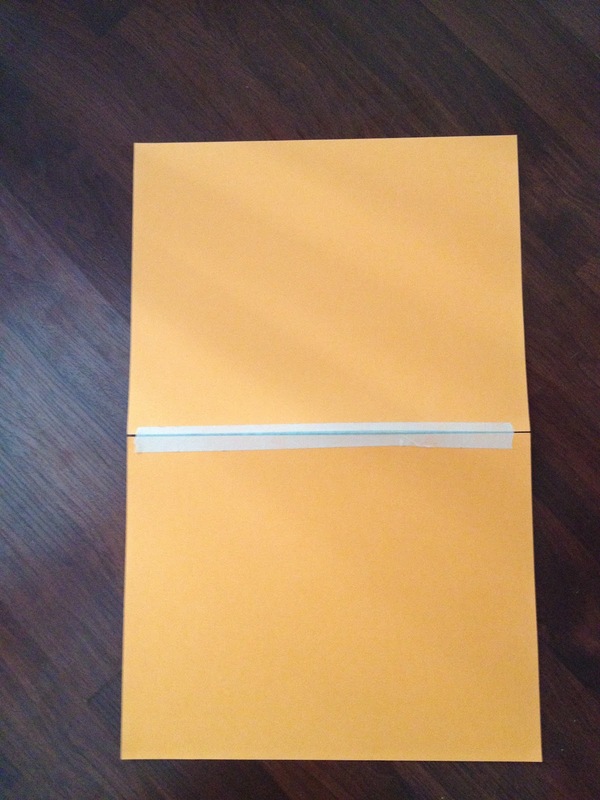 The paper tray holds all our special paper and construction paper. The flipchart has a whiteboard in the back where I list the homework for the day. Also, the hooks are where the students will put their backpacks and other belongings. You can't really see it but behind my flipchart is our supply closet which holds all our art supplies. I also have a large table where I meet with students. The white container holds student prizes and my favorite art drying rack is the red thing on the floor. I love that rack! 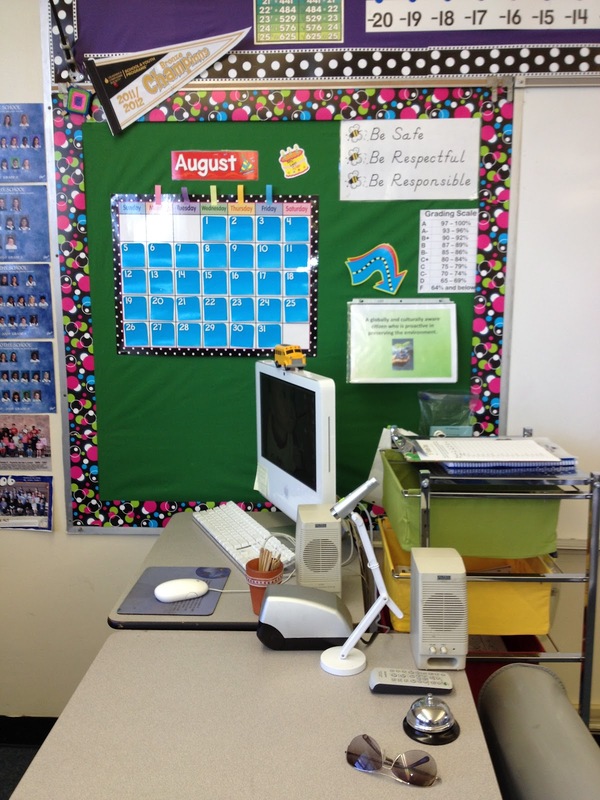 The green bulletin board is where I plan on putting up the Early Finishers set I got from Shelley Grey's TpT store. This is our side whiteboard. Surrounding it are a bunch of resources that we refer to throughout the year in Language Arts. Here is our classroom culture poster that I created and had printed through Vista Print. You can read about that here. Here is my Mountain Language bulletin board. This is a great way to reinforce and practice DOL. 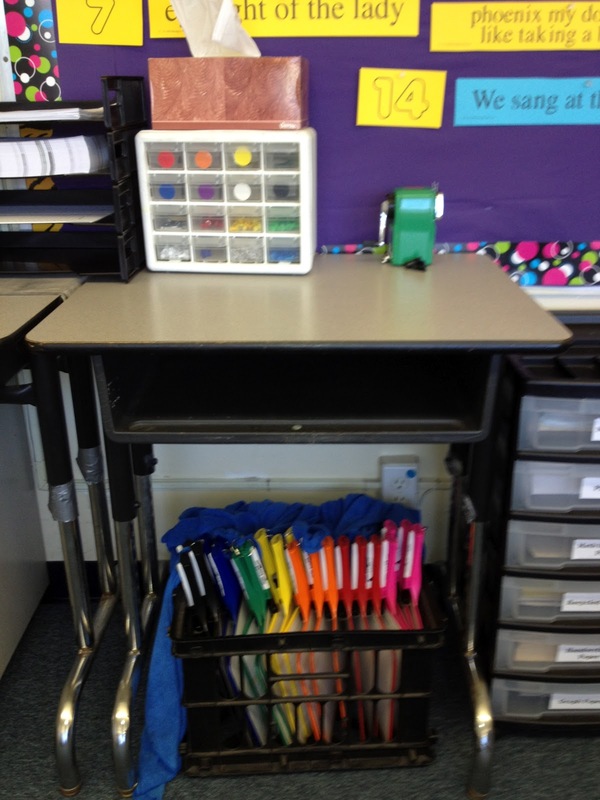 Here are the carts that hold more math manipulatives and our paper supplies. I got these at Staples a few years ago. I love them. Here are my Kleenslate whiteboards which I won and our Logic Links puzzle pieces. The students and I love our Logic Link puzzles. They are tons of fun! This is where students turn in their homework. I have a system for collecting homework which makes it far easier for me come grading time. Read about it here. This is the front of my room. I project up on that board. On the far right is where I list our daily schedule. I made a large magnet that says "Mrs. Lyon's Class Schedule" on Vista Print. This is the laptop cart and above it is our TV which I'm hoping to replace with a flat screen (wishful thinking). Also is the poster on the wall shows students how to properly label their paper headings. This rolling cart with I got at Big Lots hold a variety of things. Regular pencils, fun pencils, fun erasers, my whiteboard markers among many other items. On top sits my LCD projector which is connected to my computer. Not a super expensive LCD projector and it works for what I need. 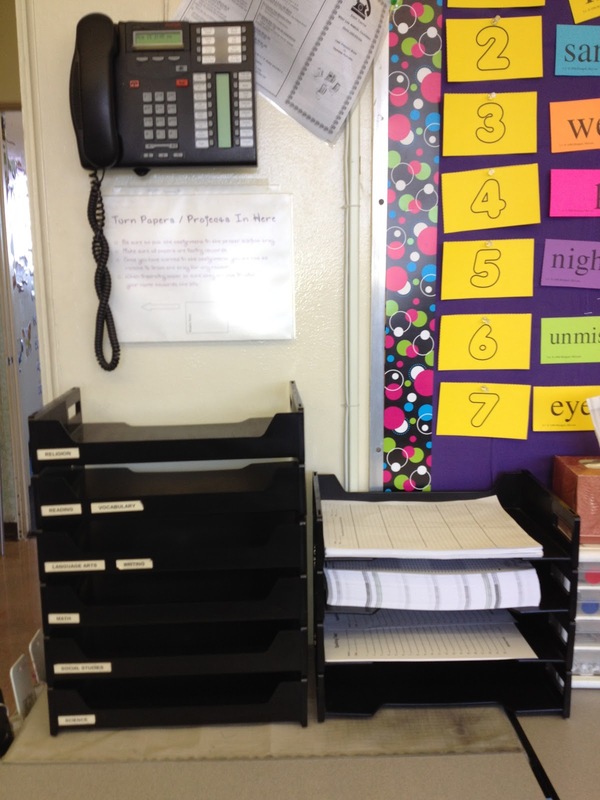 Here is my Monday thru Friday cart where I store any handouts or copies for the week. On the floor next to that are my iPad chargers. No iPads in them yet. They are coming soon. However, students will be able to take them home so this is just in case we need them and also to be able to easily sync them. And of course, sitting on top is my mailbox. I got the mailbox at Home Depot for about $6. Great deal. Students can leave me notes inside. Here are a few shots of my room from different angels. This year, my binder consists of a 2" blue binder, a pencil zip case, a ruler/3 hole puncher, 8 tabs with labels for the different subjects and of course the students' agenda. I typically collect $15 per student so I can purchase all the supplies needed for the binder, some folders and notebooks and have them all matching and ready to go the first day. This way, the students DO NOT purchase any folders, notebooks, binders, etc - just general supplies like pencils, markers, etc. I also came across these great stamps which I think will tie in nicely to my technology theme. I can use them when stamping the students' agendas or homework. They will definitely get a kick out of them! I know it has been a few weeks since I last posted but I was really trying to enjoy summer as much as I could - especially with my baby girl, who just turned ONE! However, I can no longer put off the inevitable......Back to School is upon us. And for some of you, you have already started back! So I thought it was appropriate that I participated in Mrs. Stanford's Magical Product Swap for my first Back to School post. 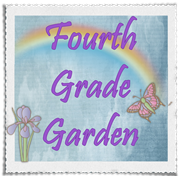 I had the privilege of being paired up with Liliris over at Fourth Grade Garden blog. After looking over all of her fabulous ideas at her Teachers Pay Teachers store, I chose her Pinterest Back to School - All About Me Craftivity. It's a perfect project to get to know your new class a little bit better. 1. Implement a successful 1:1 iPad program this year. 2. Make sure by the end of the year, all my students feel confident in math. 3. Continue to improve upon our video making unit for the year. 1. Save money for our first home. I think with my students, I would have them do three goals for school and one for their personal life. 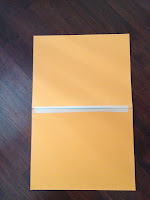 Additionally, instead of using the file folders, I opted for two pieces of cardstock which I taped together on the backside as seen in the picture. 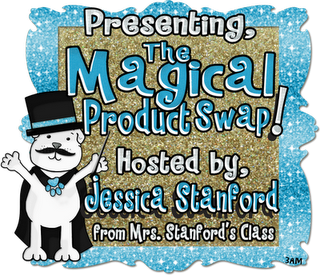 Also, be sure to check out Mrs. Stanford's page for even more product swap reviews! Since I will be going to a 1:1 iPad program within my classroom, I've been busy researching and planning ways to incorporate even more technology in my room. Typically, my students would use our laptops about 4+ hours a week since we had to share them with the rest of the school. While, I don't plan on making the iPads completely replace everything I do in the classroom, I do want it to substitute for certain projects, especially if it makes sense. 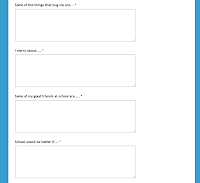 Every year during the first week of school, I always give my students an "About Me Survey" in which they tell me all sorts of little facts about themselves. From what their favorite movie is all the way to what they are most excited about this school year. Which means I have at least an entire class set of papers copies front to back for me to tote around when I get a chance to read them. Typically, I read them in the beginning of the year and then file them away. Of course, when I wish I had them to look something up about a student or to recommend a subject for their writing, I don't have the information readily available at my fingertips. 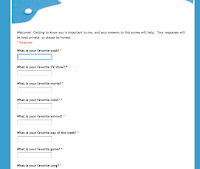 Enter my new Student Survey - available on Google Forms. 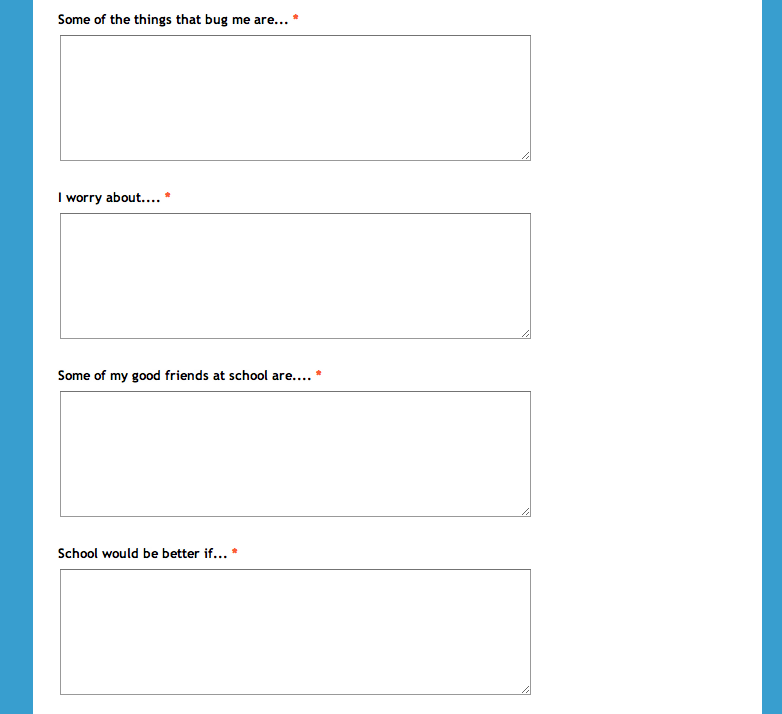 I ADORE the forms component of Google. 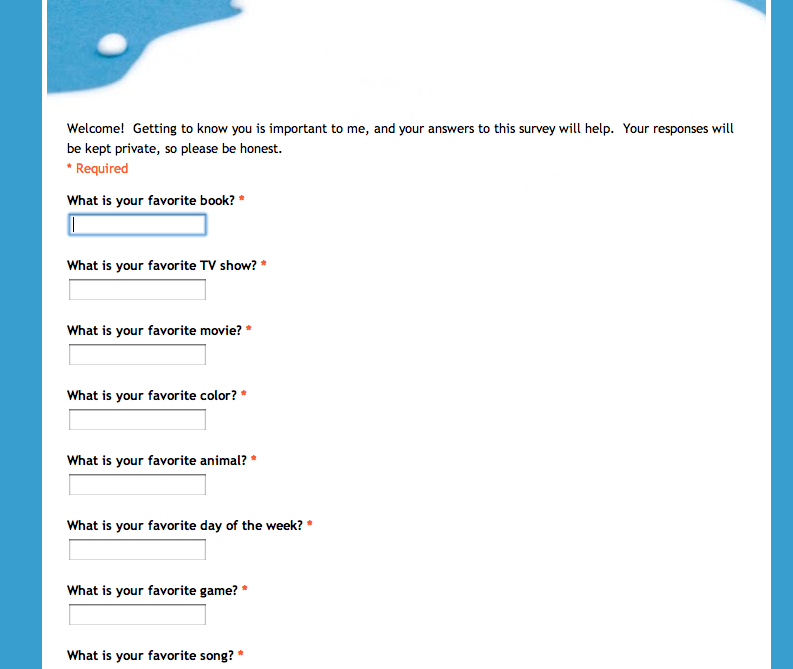 I've created tons of surveys and even successfully hold the student council elections using them. It nicely collects all the data in an easy to read spread sheet and I can even use the built in graph maker that Google has. Not only will switching my form over to Google save paper (which hey - who doesn't like to go Green when they can), it will also provide me a way to have the information available to me wherever I am as long as I have access to the internet. 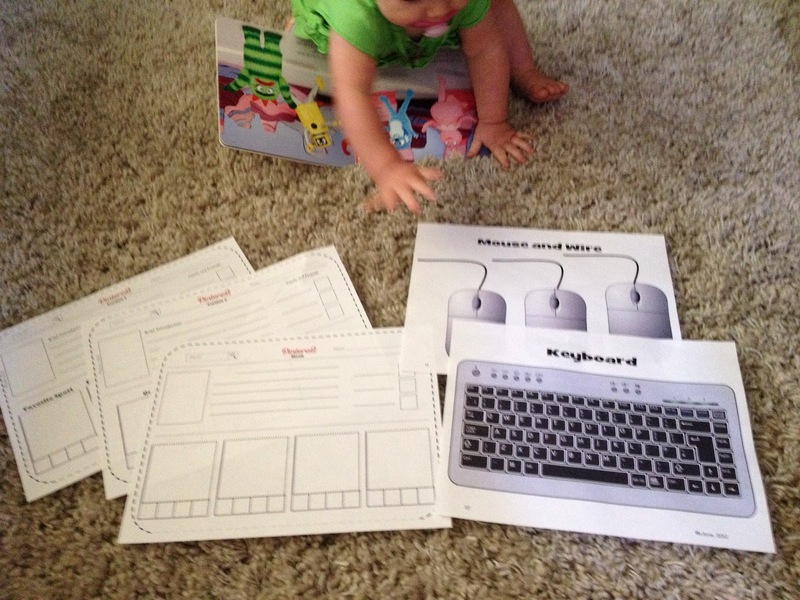 What are some ways you use technology instead of paper in your classroom? Summer is beginning to settle in nicely for the Lyon Family. With that being said, I finally had time to begin the other blog I have been planning on doing since my daughter was born......a year ago. I know that as teachers, we never really do stop planning for school but I thought perhaps some of you might be looking for some type of DIY project for your own home. 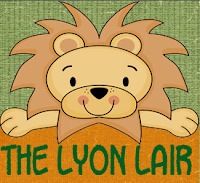 Hope to see you at The Lyon Lair! Okay - I am well aware the Father's Day is over and done with. 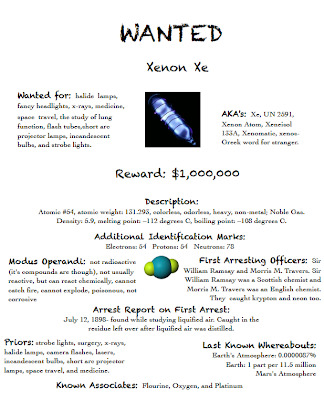 However, I never shared my project that I did with my students. So despite the holiday being almost a full year away, I present you my project. Let me start by saying in my head when I first planned this project, it was SUPER cool! Seriously. Super. Cool. Then we actually started the project and I thought maybe not so super cool after all. However, my students loved it and in the end, I was back to thinking super cool. So all is well. Okay, now I really will present the project. My original idea was to have students imprint their feet into the stepping stone. Which is why I bought the 12x12 stepping stone molds. In the end, I went with just hands. The molds worked perfectly. 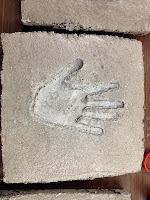 I was a bit scared that the cement would dry and the mold wouldn't come off but my husband (who was a big contributor to this project) just had my students grease the molds with olive oil. No problem. The molds came off. Since I had only 16 students, I bought 8 molds and completed this project over two days. Half the class one day and the other half the next day. My husband came and mixed together quick cement in a bucket and filled the greased molds to the brim. He smoothed it off and we had them set for about 25 minutes. 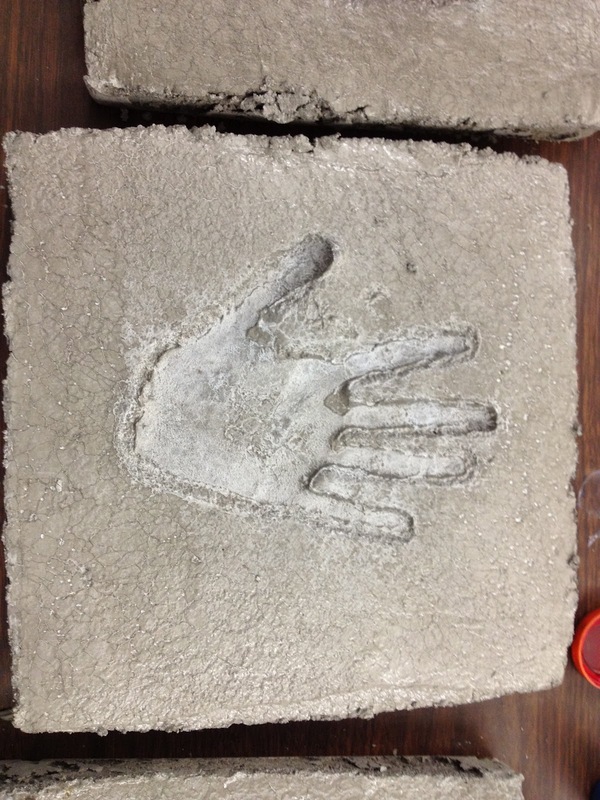 After they set for a little, the students stuck their hand prints into the cement. They had to press down fairly hard. This is also when they would have used the letter stamps but I decided not to do that. I had the molds stay outside for 2 hours before having the students carefully carry them up the stairs to dry on the back table. The next day, the stones were completely dry. My amazing husband, who facilitated this project. 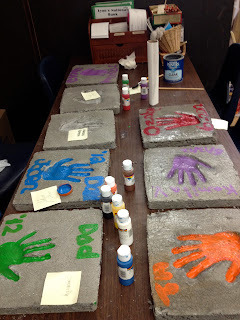 Now that the stones were dry, I let the students use acrylic paints to color their hand print. This was a last minute idea.....originally we weren't going to paint them at all, but I felt they needed something. 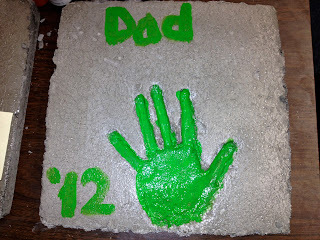 The painting was a big hit - the kids loved it and even added messages, initials and dates to their stones. Once that acrylic paint dried, I used a clear coat and covered the stone a few times to give it a shiny appearance. I'm really glad I stuck with the project. 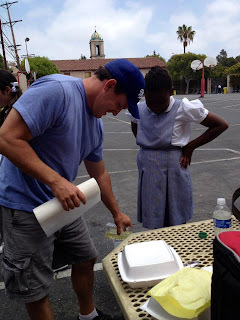 I heard positive reviews from not only the kids (which I expected - they love to get dirty) but also from the parents. I even had one student who went out and purchased a mold and is going to make more for his family's garden. So this is not only a great Father's Day project but also an anytime project! What type of Father's Day projects did you do?